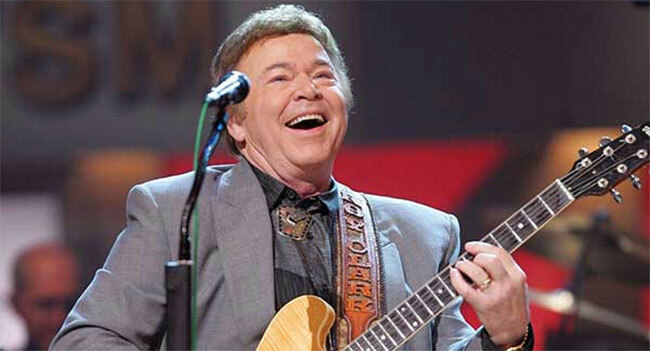 Fans hoping to say goodbye to the beloved Roy Clark can do so during the Roy Clark’s Celebration of Life public memorial on Wednesday, November 21st. The service will begin at 11 am at Rhema Bible Church at 1025 W Kenosha St Broken Arrow, OK 74012 near Tulsa. Fans who are unable to attend can view it rhema.org as well as on Rhema Bible Church’s Facebook Page. A private, invitation-only visitation for family, friends and fellow performers will take place Tuesday evening. In lieu of flowers, the family requests that all contributions be made to St. Jude Children’s Research Hospital in Memphis, Tennessee. For several years, Clark headlined a golf tournament for St. Jude’s, where a floor was named in his honor. Clark passed away Thursday, November 15th at the age of 85 due to complications from pneumonia at home in Tulsa, OK. The guitar wizard was famous in his own right recording and co-hosting Hee Haw, but also performed with Hank Williams and Grandpa Jones.